JOB OVERVIEW: To clean and stock guest rooms and to assist in guest room inspections to ensure Crescent’s high standards of cleanliness. 8. Assist in the inspection of cleaned guest rooms, turndown service, public areas and back of the house; ensure compliance with accident/loss prevention programs, health/sanitation standards and regulations to achieve a high level of cleanliness and guest satisfaction. 9. Assists with assignments of special requests, issuance of supplies to staff and logs items into the Lost & Found log as needed. 10. 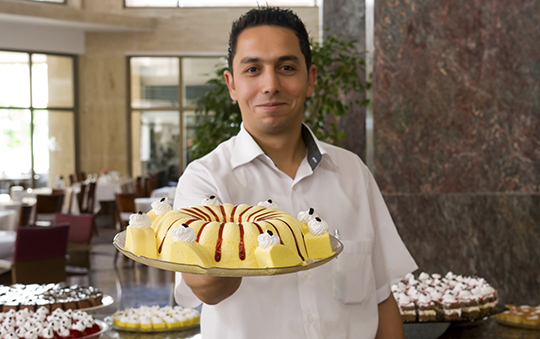 Respond to guest requests, concerns and problems to ensure guest satisfaction. 11. Comply with attendance rules and be available to work on a regular basis. 12. Perform any other job related duties as assigned. Must have the ability to communicate in English. Self-starting personality with an even disposition. Maintain a professional appearance and manner at all times. Can communicate well with guests. Must be willing to “pitch-in” and help co- workers with their job duties and be a team player. Knowledge of chemical cleaning agents and operation of various cleaning equipment. Ability to push and/or pull equipment weighing up to 100 lbs. Ability to scrub and scour surfaces, extending arms over head to perform cleaning tasks, and work in confined spaces.